I was at Target (of course) and saw the cutest notebook paper treat bags. I immediately thought how fun they would be for all things school, and at first thought I would buy up a bunch to keep for throughout the year. But I would have to spend a fortune to do it, and I didn’t really want to do that. Then I remembered I already had some plain white treat bags at home, and realized it would be super easy for me to make my own DIY version, anytime I needed them! You guys, they are SO easy to make, and literally take just a couple of minutes. If you have plain white treat bags, and a couple of colored pencils, you can make your very own set of notebook paper treat bags. 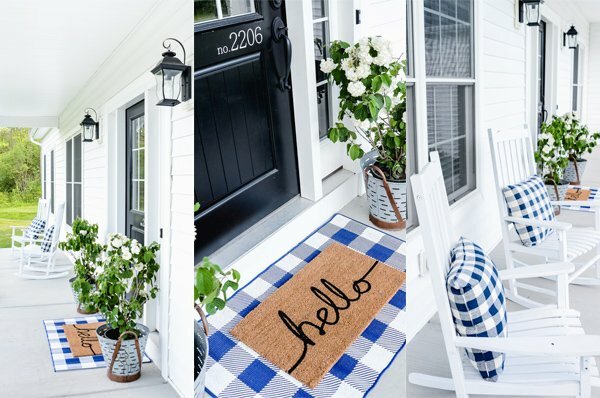 You can always find white treat bags, just about anywhere–Michaels, JoAnn Fabric, Hobby Lobby, Target, Walmart–and more. 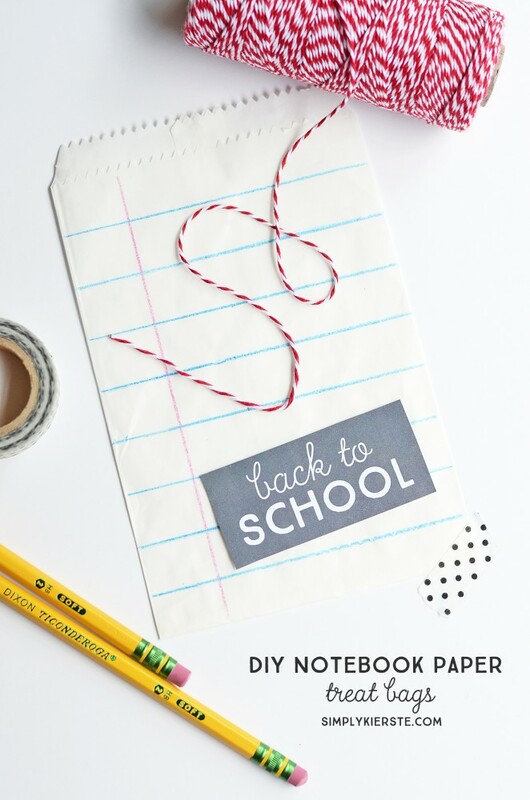 That’s definitely not the case with these cutey-cute notebook paper bags, so I love being able to make them anytime I need them, especially when it’s not back-to-school time and they aren’t available. 1. Get your colored pencils and ruler ready! I just raided my kids’ colored pencils (Crayola Twistables), and picked out a lighter, aqua-ish blue and a pinkish red. If you are trying to match colors, just open up a notebook you have on hand, or glance at some lined paper to get a better idea of color. It doesn’t have to be exact–just whatever you like. 2. Draw your horizontal blue stripes first–use a ruler to make sure that your line are straight. I just eyeballed how far apart the lines were, but if you would rather measure and mark it with a pencil first, that’s great too. 3. Add the vertical red line–I put mine about an inch in, but it’s really your preference. That’s it!! See! SUPER easy, and adorable!!! I also have this fun back to school chalkboard tag for you! I’m a teacher and officially back in the classroom today (although I’ve been working all summer). Sally, it would be perfect for your students and your colleagues! When does school officially start for you? The kiddos arrive on August 20th. Plenty of time to make these and slide a little treat inside! August 20th! We’re a couple of weeks behind you–we don’t start until after Labor Day. Happy new school year to you!! These are the cutest things ever! How creative!